An instant billionaire wants revenge…and more! Mason Harrington grew up as a rough-and-tumble stable boy. But a shocking inheritance enables him and his brother to return to their hometown and settle some scores. 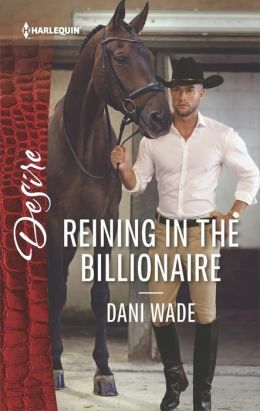 First on the agenda: take over the elite horse farm belonging to the woman who once broke Mason's heart when her daddy said he wasn't good enough. Despite Mason's motives, EvaMarie Hyatt has no choice but to stay on at the ranch and work for him. Soon it becomes clear Mason wants more than revenge. Even more surprising: EvaMarie's willingness to succumb. But will new misunderstandings derail their renewed passion, or will this second chance lead to forever?